Lush Fab Glam Inspired Lifestyle For The Modern Woman: GIRL BOSS: 5 Work From Home Careers. GIRL BOSS: 5 Work From Home Careers. 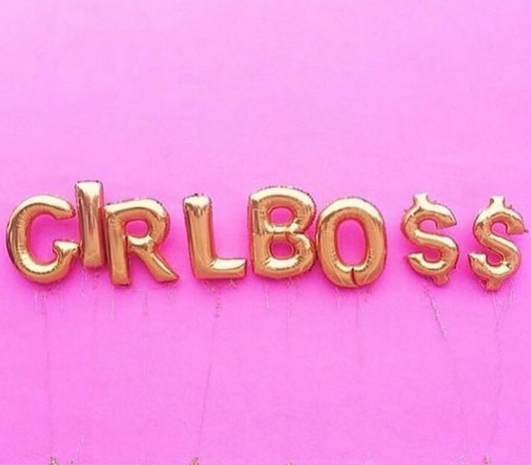 Have you always dreamed of being a Girl Boss? Whether you are looking to create extra income, start your own business or work from home. We have rounded up some amazing tried and true online careers that you can start right away. This is one of the areas we are experts in since Lush-Fab-Glam.com is a successful online lifestyle, fashion and beauty blog that's been up and running for over eight years now! Blogging about things that you are passionate about is an effective way to make money online and there are tons of bloggers who give advice on how to start a blog, how to become a successful blogger. As well as how to earn an income by becoming an affiliate or brand ambassador, working with blogger agencies, contacting business directly or creating your own products to sell to your readers etc. Our own Founder and Chief Editor MJ shared her tips for how to be a blogging success in the following article: "Journey To Success: Lush Fab Glam Editor Shares Valuable Blogging & Business Success Tips". If style and fashion has always been your passion, then you can help others discover their personal taste and look fabulous in their fashion choices by becoming a stylist. We love Stella & Dot's stylist program and all of the perks and support that make it easy to start your own business as a personal stylist. By offering beautiful jewelry, accessories and even apparel to your clients with the recent launch of Stella & Dot's new tops. Learn more about Stella & Dot's stylist program here and see more of the beautiful, newly launched designs from their Style in a Snap: Shop Stella & Dot's entire looks here! If you love and have mastered the art of posting beautiful photos, gaining followers and engaging others on social media then you already have what it takes to be a social media influencer and you can earn extra income by sharing products that you already use or recently tried on your social media page(s). A quick google search will turn up a list of agencies that act as middlemen between you and the brands that would like to have their products featured on your social pages. Working from home as a virtual assistant is a fantastic way to build your client list and portfolio while helping businesses and other entrepreneurs to thrive by doing things within your field of expertise. Whether it's book keeping, organizing files or maintaining websites there's a myriad of opportunities and agencies that will help you connect with businesses and people looking to work with a reliable virtual assistant. You can also create your own website and social media pages to advertise yourself as a virtual assistant and skip the process of going through agencies who take a commission to connect you with clients. If you are already on and enjoy spending time on social media then this career option is perfect for you. Businesses know that in the digital age having a social media presence is imperative to their continued success. Most of them however cannot afford to hire full time in-house staff to regularly update and respond to customers who engage with them on their social pages. That's where a social media manager comes in, it's your job to keep these businesses in the loop with all the changes, to help them grow their social following and to ensure that their social pages are guiding potential customers back to their online store or physical store location. Like a virtual assistant you can create a website to market your services and skills to potential clients who are already looking for your help. Whether you are looking to start your own business, want the freedom to be your own boss or you are a stay-at-home mom or student looking to create your own hours and earn extra income. The career options above are worth looking into and the best part is they require very little to no investment and it's easy to get started! Get more ideas and advice on becoming your own boss in our "Tips For Success" articles.